Beloved. Did you think our love had ceased to be, that we were gone forever because of the funeral pyres? Oh, no, Beloved. The fire did not consume us, nor could the desert wind and a thousand years keep us apart. Love is greater than fire, and wind, and time. These are the words of Lukhamen, the Spirit Guide who came to me after my son died. I could hear them echoing around a church in Charleston, South Carolina and a mosque in Nigeria, where praying people lay slaughtered. And I was able to remember that death was my teacher. And that the ones who committed the brutal acts of hate and terror were also my teachers. They were here to show me the meaning of futility – poor, useless acts of futility. As if anyone could destroy life! As if bullets could destroy the Spirit that lives within each human heart. As if we hadn’t seen it time and time again – the rising up of hope from the ashes of violence. As if death didn’t bring us together, as if love did not live on, even amidst the sorrow of burying our dead. As if more and more of us are not awakening to the truth that we are all in this together. Forever. My beloved Temple of Luxor has been threatened by terrorists. African American churches have been burned in my country. And still love is here. As if destroying our buildings could destroy the love that built them. As if we would not build them again, and again. Because life is forever. Love is forever. It is greater than fire, and wind, and time. And bullets. And poor, useless acts of futility. 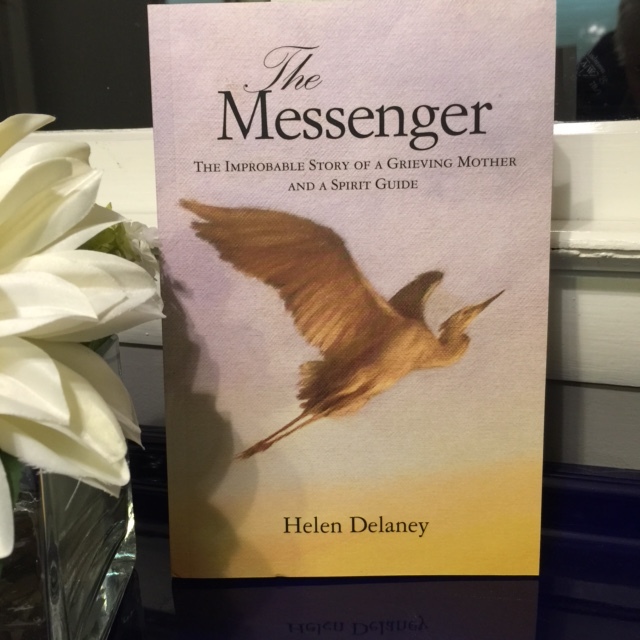 Look for The Messenger: The Improbable Story of a Grieving Mother and a Spirit Guide by Helen Delaney at http://www.Amazon.com. Now available on Kindle. Beautiful thoughts and writing as always.